Don’t They Know I’m British?!? Has been my most used phrase this week!! I’ve never been one to “have a cuppa” outside… because I’ve not come across a place that can brew a mean cup like we do indoors…. it’s just not the same! No, No, that won’t do! Even when I lived back home in London, you’d have a hard time getting me to drink tea outside, unless it’s a Hilton Hotel Afternoon Tea with the ladies, it’s not happening, sorry! See it’s all about the aesthetics, the setting, the tone…. the CUP!! That “Ooohh” after your first sip, the feeling inside of complete and utter “tealaxation” ….. you aren’t getting that sitting in a manky London Cafe, or chilling in Shakespeares in Dubai Mall! So why kid yourself?? Sit back and chillax at home and enjoy your tea, your way! There’s nothing worse than getting a rubbish cuppa, especially when you’re being charged more for one little cup, than a whole 80 pack of PG Tips would cost! So it’s much better to have your tea at home, or at a friends…. having said that, you may have to endure that awkward moment when they make you a crap cuppa tea…. but that’s another post! ……. But this week, due to unforeseen circumstances, I was sadly admitted into hospital (it’s ok I’m a survivor insha’Allah) and here is where I realised just how much of a grumpy Brit I truly am! (I say that with pride) 😂 I have never waited so long for a cup of tea…. I was sure the kitchen staff had boarded a boat to India to pick the leaves themselves! I waited Three & a half hours for a cup of tea…. I kid you not!! Unacceptable on all accounts! On two consecutive days I waited the longest I’ve ever had to wait for my cup of brew….. and not a Digestive in sight! Those poor kitchen staff must have really hated me!…….. it’s not their fault they don’t know the true importance of a nice sit down and a cuppa tea to a Brit! Especially when you’re feeling under the weather & really need that pick me up to make you feel you again! My friend often says “You really are a true Brit” When she hears me complaining about the over the top customer service in Dubai, or at how I expect not to be approached by raging shop assistants screaming “Hi Ma’am” from the moment I look in the shop window! …. it’s the norm! …. in London, you feel like you’re putting the shop assistant out by even asking for help with something…. you get the eye rolls & “tuts” from the moment you utter the words ‘excuse me’ 🙈 So, I’m totally not used to this kind of service…. but when it comes to my tea… I expect only the best!! 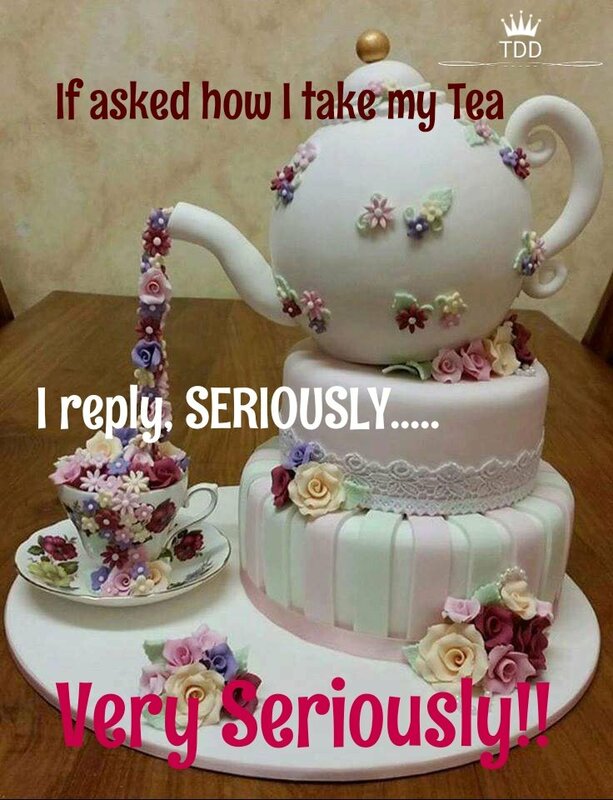 My question is…….. just how “tea” is your tea? So there you have it… my musings on realising just how much of a grumpy Brit (& proud) I Am! 😁 My perfect cup would be a 2D or a 3B …. what’s yours? Let me know in the comments! & don’t forget to share!! Previous Post Cheat Friendly Pizza Bombs! Next Post Only Gone & Got Nominated for a Blogger Award! Tea is very big deal for me and it being the right colour so I’ve resulted to saying I don’t drink if I visit someone house. The utter disgrace on my face when it’s not the right colour wonder how it will taste. Plus I’ve resulted to drinking tea leaves or granules and most people us tea bags. Lol bit perticular but that’s my autistic part. Salam alaikum & thanks for visiting my blog! So nice to hear I’m not alone! 😂… I wonder how tea fares up in Saudi? wait are they all tea or what?, i dont know but i would take 2c and 3c little bit lighter haha, great post by the way! 2D, very definitely. I loved this post – I feel very veeery strongly about my tea as well! If it’s tea from outside, it’s either karak chai (Have you had it? They are available at the cafeterias) or just plain old green tea. Thanks, You know I’ve never tried the Karak Chai, but it’s all the rage here!….. I think I’ll have to give it a go!